« Suicide Prevention Bill Includes ACEs! There is no greater or more complicated system than the human brain! The conference start time is 8:30am – 4:30pm on both days, and registration will start at 7:30am on day 1. To download the schedule, click here. If you are traveling from out of town, a block of rooms have been reserved at the Radisson Hotel for a discounted rate. Ask for the “ChildWise” rate when you make your reservation. Adolescence is a window of opportunity for developing a better, healthy, smarter, faster brain. It is the time when the brain becomes more efficient and develops more advanced skills. But it can also be a time of missed opportunities and vulnerabilities if a teen does not challenge her/his brain, or exposes the brain to neurotoxins, such as alcohol, tobacco, and drugs. Similar to what happens in early childhood, adolescent brain development is a period of ‘use it or lose it’. Brain connections that are stimulated and used repeatedly grow stronger while unused connections wither away. How teens spend their time – their activities and experiences – influences both the organization and also the capacity of the brain. It doesn’t take a brain scientist to tell you that adolescents can be frustrating! A teen’s life is shaped by factors such as family, friends, school, and communities. But there are also powerful neurological issues at play. What can we do to reduce the danger? Neuroscience has made great strides in shedding light on the changes occurring in the teenager’s brain and why they behave the way they do. 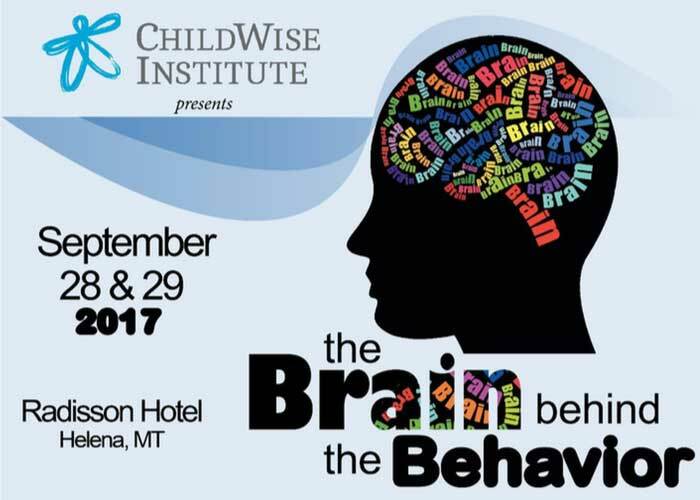 This Summit will feature leading experts in neuroscience and adolescent behaviors to guide us through an understanding of how the developing brain plays into the health and social issues our youth are facing every day. Judy Cameron, Ph.D. For more than 25 years, Judy Cameron has been interested in educating the public about how life events affect the brain. 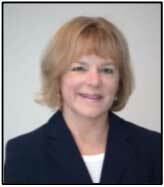 A professor of psychiatry and neuroscience at the University of Pittsburgh, she has served on the MacArthur Foundation Research Network on Early Experience and Brain Development, the National Scientific Council on the Developing Child and the Dana Foundation for Brain Initiatives. Her research focuses on the influences of everyday life stresses on long-term health, identification of factors that lead to stress sensitivity versus resilience, and how physical exercise increases brain plasticity In addition, Dr. Cameron is CEO of Working for Kids: Building Skills, a company which produces educational materials and a training program for professionals and parents teaching them how they can help children strengthen brain development. In the first years of life, neurons in our brain form new connections at the astounding rate of 700– 1000 per second — a pace that is not repeated again. But when the quality of key factors — including in our health, nutrition, environment and sources of support — is poor, child development is seriously affected, sometimes irreversibly. Dr. Judy Cameron speaks about this critical period of early child development. She will explain the basic processes by which childhood experiences shape brain development, including the formation of brain circuits and gene expression within the brain. Understand how adverse childhood experiences change brain function leading to long- term consequences in terms of behavior regulation, cognitive function, mental health and physical health. Explain what neural circuits are continuing to be strengthened during the teenage years, and how they can be strengthened to improve complex reasoning skills, planning, problem solving, and inhibitory control. Understand the types of social support systems that help children and teens become more resilient to the adverse consequences of life stresses. Delaney Ruston, M.D. 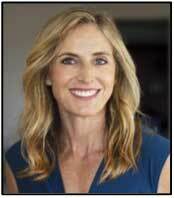 is a filmmaker, Stanford trained physician and mother of two. Throughout her education at Cornell University, Stanford Medical School and the University of California, San Francisco (UCSF) for residency, Delaney studied many aspects of filmmaking, with a particular focus on film as a vehicle for social change. She made her first award-winning short film while doing her medical residency at UCSF. She completed a Fellowship in Ethics and Communication at UCSF and then went on to become faculty at the University of Washington in Seattle. She then completed a National Endowment for The Arts funded filmmaking program and later was awarded a Fulbright Scholarship to make films in India. Along with filmmaking, Ruston has spent over a decade providing primary care to the underserved. Recently she became the Filmmaker-in-Residence at the Center for Medical Humanities, Compassionate Care and Bioethics at Stony Brook Medicine, NY. In SCREENAGERS, as with her award-winning documentaries on mental health, physician and filmmaker Delaney Ruston takes a deeply personal approach as she probes into the vulnerable corners of family life, including her own, to explore struggles over social media, video games, academics and internet addiction. Through poignant, and unexpectedly funny stories, along with surprising insights from authors, psychologists, and brain scientists, SCREENAGERS reveals how tech time impacts kids’ development and offers solutions on how adults can empower kids to best navigate the digital world and find balance. Understand the impact of excessive screen time on the development of the young brain. Explain the impact of social media on youth’s development of self and development of empathy. Explain the impact of social media on youth’s development of self and development of empathy. Explore effective, science based ways that educators and parents can help youth to promote healthy and balanced use of screen time, social media in particular. SCREENAGERS a documentary by Delaney Ruston, M.D. Are you watching kids scroll through life, with their rapid-fire thumbs and a six- second attention span? Physician and filmmaker Delaney Ruston saw that with her own kids and learned that the average kid spends 6.5 hours a day looking at screens. She wondered about the impact of all this time and about the friction occurring in homes and schools around negotiating screen time—friction she knew all too well. Delaney decided to make Screenagers because she believes deeply in the importance of helping kids find balance in our tech filled world. She is passionate about having the film be a vehicle to bring parents, educators and kids together for post screening discussions so change can happen not just in our homes but in our schools and communities. She loves engaging audiences in solution centered discussions and is excited that her daughter, Tessa, who is in the film, enjoys being a part of these discussions as well. 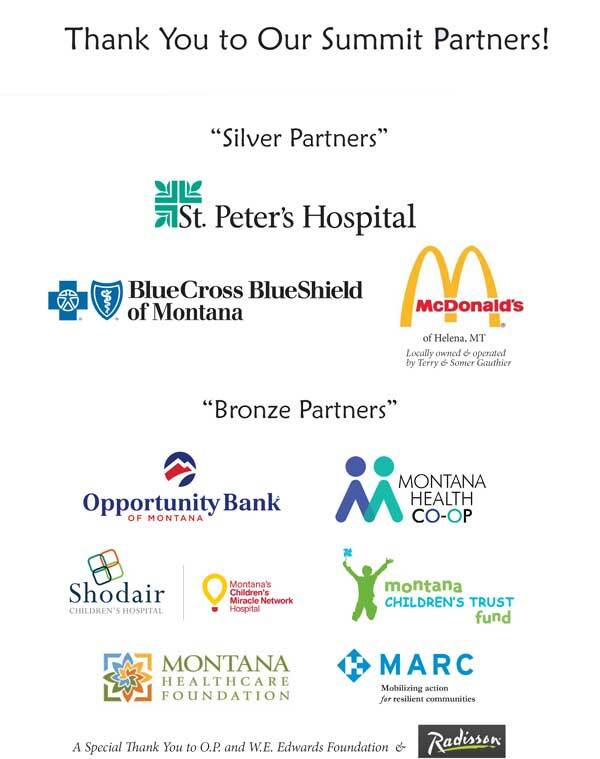 On day 2, this Summit will provide 4 breakouts on top issues Montana’s children are facing today. Substance Use and the Teenage Brain: Adolescence is a key period for the development of a healthy brain. Growth during this time period can often determine the course for the rest of life, but what happens when that growth is altered or stunned? This presentation will explore the functions and development goals of the brain for their time frame and how substance-use affects this development. Participants will come away with better understanding of the outward signs and behaviors of adolescent drug use and also provide ideas and strategies to prevent and reduce drug use. Identify the key areas of the brain that develop during adolescence and the functions of those areas. Understand how substance-use affects those areas of the brain. Identify intervention and prevention strategies. Dr. Byerly will describe available youth suicide prevention interventions, highlighting differences in program approaches and comparing and contrasting the effectiveness of individual programs Recent work of the MSU Center for Mental Health Research and Recovery on a promising new intervention, Youth Aware of Mental Health (YAM), will be reviewed Recommendations regarding needs for future research in the field will be discussed, with an emphasis on relevance for Montana and similar rural settings. Following the presentation will be 30 minutes of question/answer and discussion. Understand the comparative effectiveness of the most rigorously tested suicide prevention interventions. In “Mental Wellness and the Teenage Brain,” Dr. Nolen will discuss the unique neuropsychological, psychological, and emotional factors that define adolescence, with a focus on how teens and care providers, educators, parents, etc. can best understand and incorporate these traits into positive, strengths-based activity or intervention. Understand the unique neuropsychological and emotional states of the teenage brain – as well as how this affects their general functioning and behavior. Incorporate the strengths and challenges of these unique traits (e.g., desire for acceptance) in order to provide supportive, effective guidance while also providing opportunities for healthy autonomy, exploration, and growth. Speaker: Lisa. R. Ponfick, M.D. By definition, self-harm refers to hurting oneself to relieve emotional pain or distress. The most common forms of this behavior are cutting and burning. From a developmental perspective, there is increased risk for self-injury in adolescents. Not only do adolescents have to navigate a growing number of personal relationships, their brains and bodies are undergoing changes as well. It is not uncommon for early adolescents to feel high levels of emotion but not have many skills to deal with this emotion. Dr. Ponfick will explain this often misunderstood behavior. Explore the functions of self harm and potential treatment strategies. Understand how the concepts of pain offset release and endorphin release may lead to repetitive self harm.